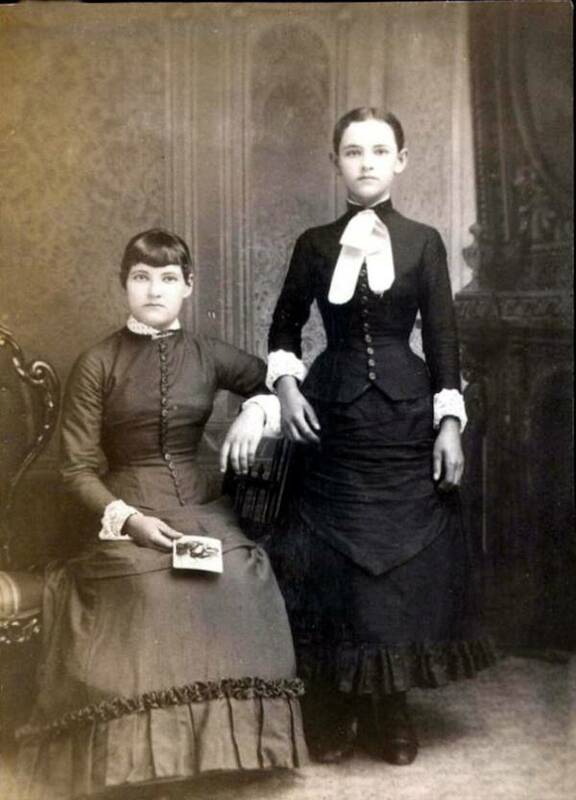 No well-documented source exists which investigates the topic of Victorian post-mortem photography. Snopes.com has no entry, so let’s do this one Snopes-style. 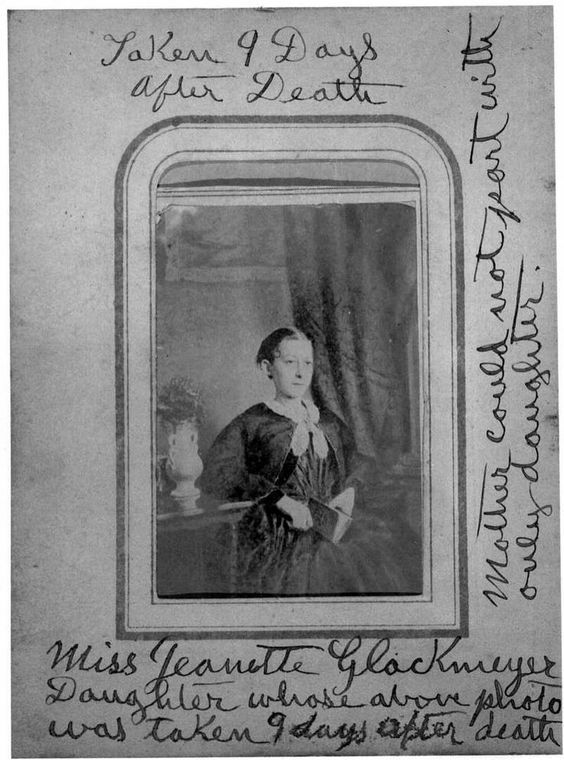 WHAT’S TRUE: Victorians did photograph their recently deceased loved ones1-5. Photographers often tried to create portraits of the dead. Images to represent who they were alive, not dead, and so tried to make them appear alive. Some, especially children, were made to appear to be sleeping. Others were sat up, sometimes with eyes open. Some feature parents cradling their infant. Later images are clearly funerary, with the subject surrounded by flowers or in a coffin. 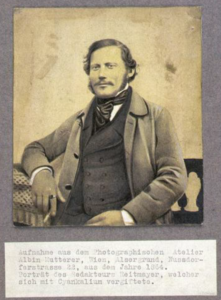 Paul Frecker London is a reputable dealer of Victorian post-mortem (PM) photographs and daguerreotypes. Visit their online gallery to see what real PM portraits typically look like. These documented images were published in the Journal of Photography5. 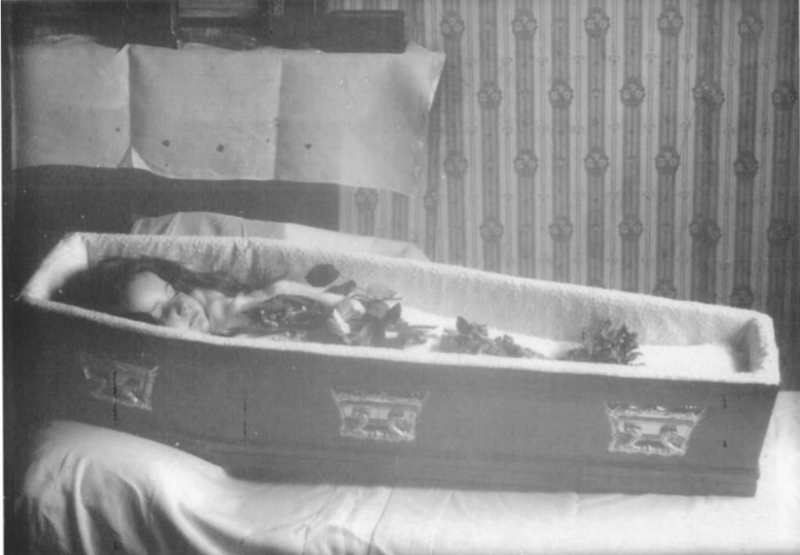 Girl in coffin. Herefordshire County Record Office. Camille Silvy, 1860s. National Portrait Gallery, London. 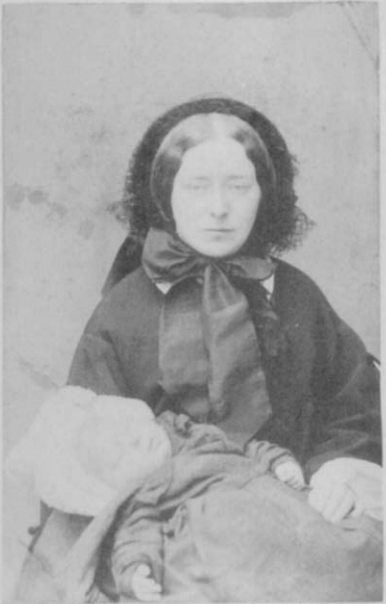 Mother holding dead child, early 1860s. (c) Nino Manci. WHAT’S FALSE: Numerous photos claimed to be of deceased people were alive when the photo was taken. 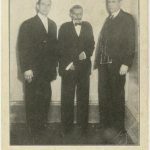 Un/blurred faces, the presence of a posing stand, “rigid” postures, and vacant stares said to indicate death or life are unreliable or fictional. 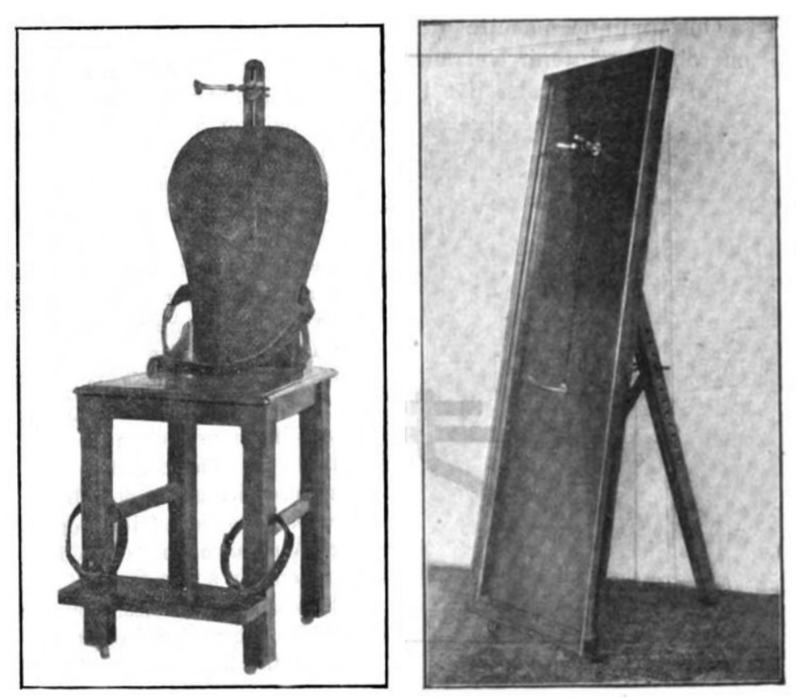 Posing stands were never used to make corpses into mannequins. There are no pictures in which a dead person is standing and appears alive. During most of the Victorian period, photographs were not so prohibitively expensive that most people could only afford them once in a lifetime. Most offending sites are a mix of real and mistaken or fake PM images. 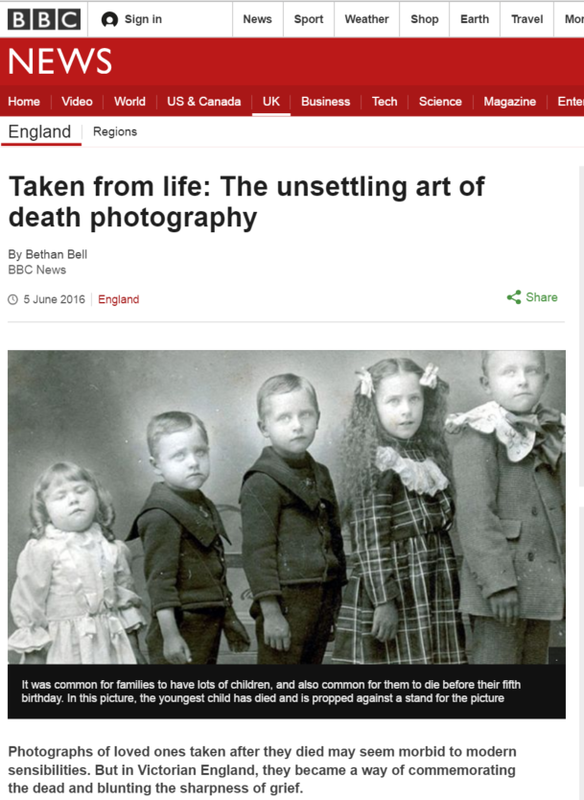 “Taken from life: The unsettling art of death photography” BBC News. The general public remained unaware of these academic and photojournal publications. 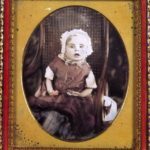 Private collections of Victorian death and mourning photographs may have set the stage for mythification. The Thanatos Archive catalogs 2000 “death” portraits. Thanatos has made its images accessible online since 2002 (for a subscription fee). The Burns Archive boasts a million images, but only some are death-related. The Burns Archive was founded by ophthalmologist Dr. Stanley B. Burns. These and other collections made Victorian post-mortem and pre-mortem photos available to lay internet audiences. The baby has closed its eyes because it is a baby. There is no reason to think it is not alive. This baby Moses-like studio shot is not anything a Victorian would appreciate. This child is holding its head up and looking right at the camera. These photos appeared, but failed to gain traction until around 2008 when the story was picked up by larger sites like ScienceBlogs and mental_floss. By 2009, the familiar tropes of the myth have been stated plainly in a variety of places. The Ashford Zone blog said that you can tell death by blurred eyes and the visibility of a posing stand. Google trends indicates that the myth comes to full power at the end of 2014. 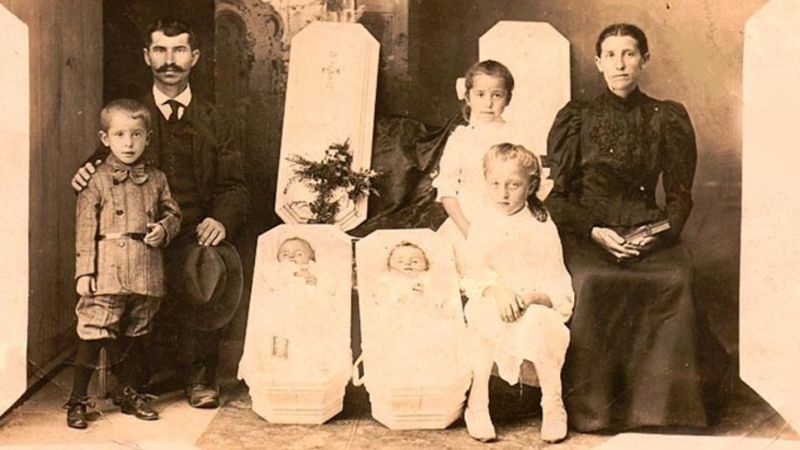 Around this time the website Viralnova featured many misidentified Victorian photos and repeats all of the falsehoods about Victorian death photography. 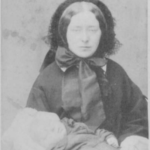 At almost the same time, The Thanatos Archive published some of its material in the book Beyond the Dark Veil: Post Mortem & Mourning Photography from The Thanatos Archive. Similar books like The Victorian Book of the Dead and Memento Mori were published within a few months of each other. As of now, the false PM photos and myths have been republished on thousands of blogs, news sites, Pinterest pages, YouTube channels, Facebook pages, twitter, Reddit, and photo sites like flickr. Posing stands were used to help keep subjects steady. They were never used on the dead. Indeed, they could not be. Look at this image to the right. This grown man could not be supported with a small stand unless it was made of adamantium. He is holding his head up, and looking at the camera. His shoulders and hips are squared, not slumped. His hat points perfectly up, because his entire body posture is living-human normal. If some photographer accomplished this with a small stand, they must be an engineering wizard. 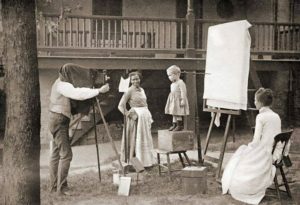 A posing stand being used by a (living) child. In the photographic studio of the 1840s through the 1860s, people were placed in restraints – clamps that prevented any head movement. They were told to sit perfectly still, not even to blink. The result was an image of a person without facial emotion holding a rigid, expressionless posture. Romanian doctor Nicolas Minovici was famous for innovating methods of restoring corpses for identification. Minovici replaced eyes with artificial appliances rather than painting the lids or retouching. He used small pins to fix the face into various expressions. Find page 857 in the Archives to see how effective this was – be warned, these are graphic and disturbing photos. Ironically, had Victorians used Minovici’s methods, their post-mortem portrait subjects could have been smiling and looking more animate than those of many living Victorians. Many factors affect the quality of a photo. The level and color of lighting, tiny movements of each person, tiny movements of the camera. In the non-digital non-instant age, occasional blur was inevitable. Clarity doesn’t mean death. 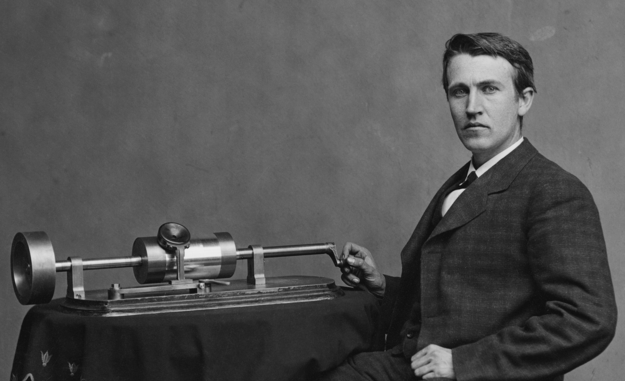 This photo of Thomas Edison was taken in 1888. Note the crisp detail, and alived-ness. 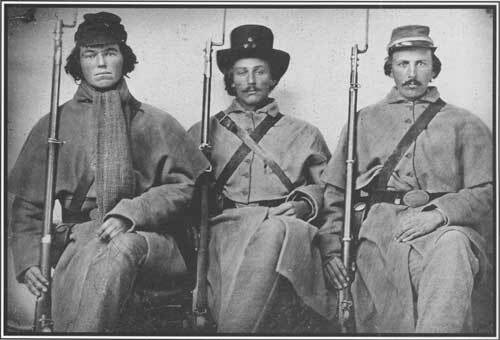 Conversely, here are Civil War soldiers. Note the “vacant” stares, glazed eyes, and rigid postures. They are sitting perfectly straight, heads up, looking at camera, and each gently holding their rifles. These are not dead men (at the time). I will briefly review accounts and views of Victorian PM photography from cultural historian Dan Meinwald, historical scholar Jay Ruby, art historians Patrizia Munforte and R. J. Noye, photographer, writer, and curator Robert Hirsch, and photography historian Audrey Linkman. None ever mention corpses made to stand up. None mention the use of poser stands, except on the living. While all provide example photographs, none use PM photographs found in popular blog posts and media accounts that I have described as misidentified PM pictures. Indeed, Patrizia Munforte debunked convincing portraits of the supposedly dead in her dissertation. These scholarly sources notwithstanding, exactly two references to possible authentic creepy standing death photos are known6 (found by Woodyard). The photos themselves are lost to history. I was tenting in an Arizona town and quite a number of Mexican children died. These people are quite fond of pictures, and seem to like corpse ones if they have none taken in life. Most of them in the town I was in preferred having them standing, so I ordered them to place the corpse against the back of a chair and tie it thus outside of their doby house in the sun; and I will say that a standing corpse picture looks much better than one lying down. “Nine Years a Tent Photographer,” E.A. Bonine, Anthony’s Photographic Bulletin, 1898. Meinwald wrote the essay and book Memento Mori. You can read the fascinating essay online at UCLA.edu. Part 2 deals with this subject matter most directly. It is inconsistent with mythic PM accounts. When I began to take pictures, twenty or thirty years ago, I had to make pictures of the dead. We had to go out then more than we do now, and this is a matter that is not easy to manage; but if you work carefully over the various difficulties you will learn very soon how to take pictures of dead bodies, arranging them just as you please … The way I did was just to have them dressed and laid on the sofa. Just lay them down as if they were in a sleep. Place the body on a lounge or sofa, have the friends dress the head and shoulders as near as in life as possible, then politely request them to leave the room to you and your aides, that you may not feel the embarrassment incumbent should they witness some little mishap liable to befall the occasion. If the room be in the northeast or northwest corner of the house, you can almost always have a window at the right and left of a corner. Granting the case to be such, roll the lounge or sofa containing the body as near into the corner as possible, raise it to a sitting position, and bolster firmly, using for a background a drab shawl or some material suited to the position, circumstance, etc. Having posed the model, we will proceed to the lighting. This is all that Orr mentioned about positioning the body (p.57-8). There is not a word about stands, braces, corpses made to stand, or elaborate measures to arrange limbs. And yet, Southworth’s description of techniques for composing a deceased subject, cited above, seems to have had little effect on the rest of the profession. Figure 17 clearly shows that Southworth practiced what he preached. 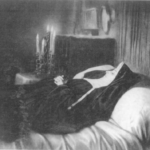 But it is a most unusual postmortem photograph. Remarkably few postmortem photographs display this skill for composing the body. The majority are simple likenesses. They record the features of the deceased and nothing more. The three styles are the final repose, the dead posed to appear asleep and usually in a bed or crib; “dead, but alive” to use Munforte’s phrasing, where the dead may be upright with eyes open or closed, but not in any casual or “just hanging around” tone; and lastly, the mourning scenes, in which the family may appear with the dead on their deathbed, funeral, or even graveyard. Noye focused much more on the craft and technical aspects of Victorian photography. Yet, his account does not support the mythic claims that now circle the internet every month or two. Hirsch is the author of Seizing the Light: A Social History of Photography. The 500 page text spends a good deal of paper on the Victorian era, but only a few hundred words on death and mourning. Which is odd considering how often Hirsch is cited by fake PM sites. He wrote nothing that supports fanciful interpretations of Victorian photos. Linkman wrote a paper on the even more-Victorian Victorians, th e British5. This is another paper focusing on the methods and means primarily of post-mortem photography, but also commenting on social attitudes. She often compares American and British (and other European) Victorians. However, like all the other scholars, she never mentioned standing-up of the dead, the use of stands and wires for posing, painting on eyelids, et cetera. Non-PM and photos of unknowable subjects are sold on eBay. 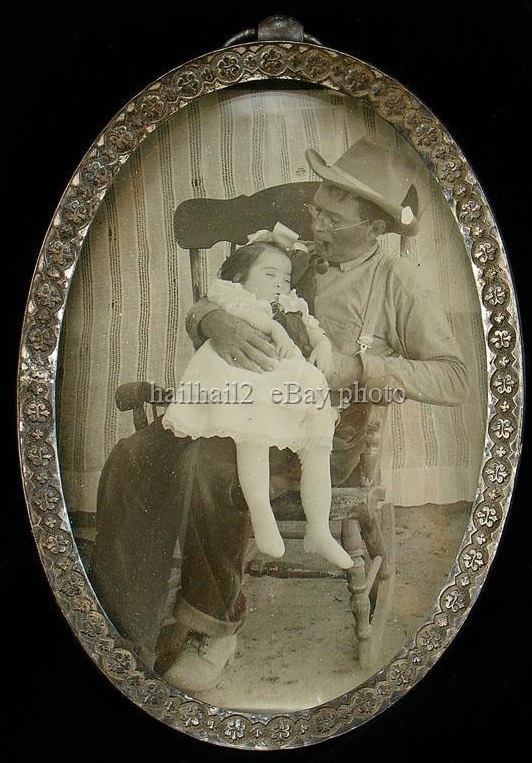 For just $165 you could buy this photo of a man holding his child. On Amazon you can buy book versions of PM blog posts, complete with rehashes of the same erroneous claims. Not Victorian (1913) and created as evidence in legal proceedings. Standing up a corpse does not make it look alive. Posted by io9 et al. Viralnova wrote that how “the man’s” arm is positioned as evidence of death. 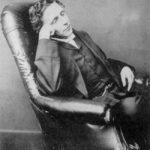 This is Alice in Wonderland author Lewis Caroll, very much alive. Nobody dead for 9 days looks this perfect. The top and bottom handwritings are different and “days after” over-wrote something. This is a deliberate fake. Note the stand. 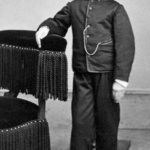 This is Tad Lincoln. Tad died at age 18. There are no means, even today, to make a corpse look so alive as these girls are. 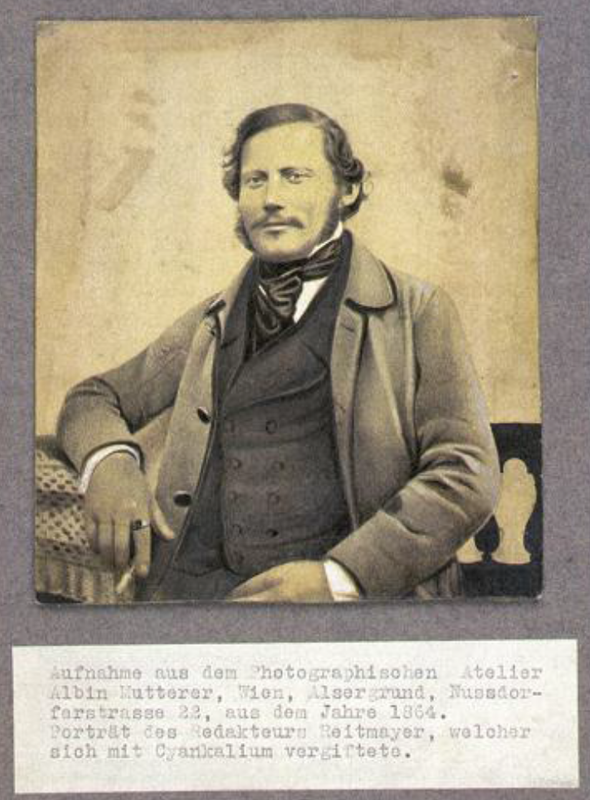 Reitmayer committed suicide in 1864. His body was taken to PM photographer Albin Mutterer, renowned for his talent at making striking “alive, but dead” portraits. 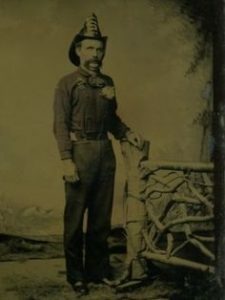 The captions on the salt paper print indicate that the photo was taken after his death. This seems like a clear-cut case of PM photography. Even experts believed that it was, including art historians Felix Hoffman and Steffen Siegel. Patrizia Munforte dug deeper. Mutterer was talented indeed. 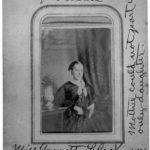 Munforte determined that he manipulated a twenty-year-old daguerreotype to construct an apparently new image to serve as a memorial photo. 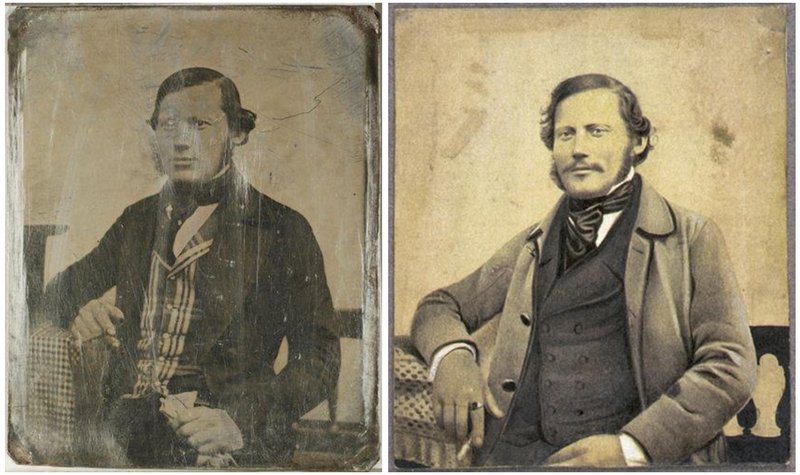 He mirrored it to flip the left/right because older daguerreotypes were typically mirror-flipped; photographs were not. He retouched the face so that it looked older. Here is the mirrored original next to Mutterer’s portrait. Note the identical hairlines, but that the body and head are slightly out of proportion. 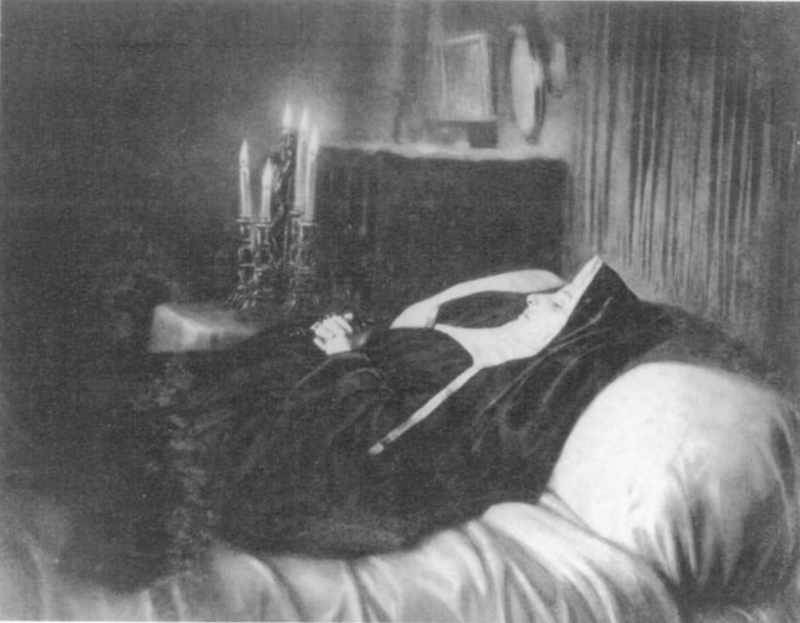 The image was created after Reitmayer’s death, but no corpse was involved. Seeing is not believing, even in 1864. 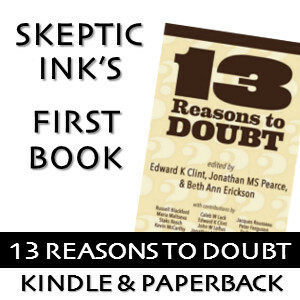 It is surprising this list includes reputable news outlets and blogs like ScienceBlogs. It is a testament to the compelling allure of the morbid and weird. Most, including the BBC, feature no source citation at all. The Skeptics Guide to the Universe podcast (#518, June 2015) nailed it. Well done. See the Special Report segment Memento Mori by Steven Novella. Ruby, Jay. 1984. Post-Mortem portraiture in America. History of Photography. Vol 8, no 3. Link. Ruby, Jay. 1995. Secure the Shadow: Death and Photography in America. The MIT Press. Link. Hirsch, Robert. 2008. Seizing the Light: A Social History of Photography. McGraw-Hill Education; 2 ed. Munforte, Patrizia. 2015. The Body of Ambivalence: The ‘Alive, Yet Dead’ Portrait in the Nineteenth Century. Re·bus. no 7, Summer. Link. Linkman, Audrey. 2006. 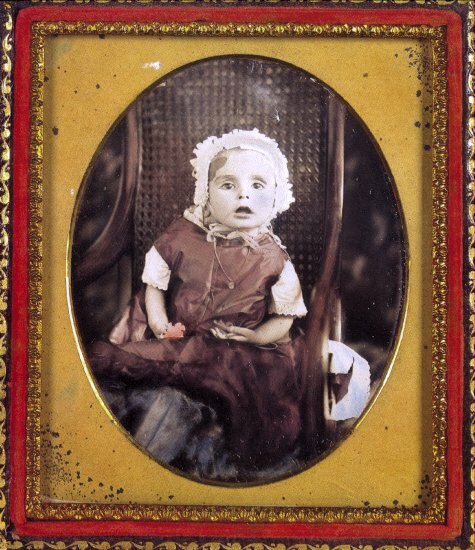 Taken from life: Post-mortem portraiture in Britain 1860-1910. History of Photography. Vol 30, no 4. Link. Woodyard, Chris. 2014. The Victorian Book of the Dead. Kestrel Publications. EDITED 6/21 to add forensic photography material. I must say I completely fell for this myth without question. Great read. I did too, a couple years ago. At some point I think I saw someone object in comments somewhere. And even then I wasn’t sure for a while because I couldn’t find authoritative sources (online, readily). Even now, this page and Chris Woodyard’s (published this month), are the only ones I know of in all the internet with documentation. I was duped the same as everyone else. I’ve got a website that dispels the myth, which I see you have credited. The sites that are perpetuating the rubbish are the ones that earn money by the click so they will let anyone put up any kind of info, as long as it drives traffic to their site. People love the ghoulish nature of the stand alone postmortem and want to believe in it. 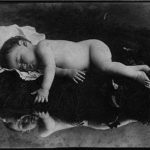 Some actually get very mad when you try to explain that Victorian times were not that long ago and we know exactly how postmortem photos were taken ….and NONE of them were stand alone corpses. Hello, Susan. Thank you for making that website. That site, and those mentioning it, is the first real rebuttal I found when searching online. Your thoughtful and well-argued response was very helpful to me in researching the topic. I share your frustration that people like to exoticize the Victorians. My understanding is, there’s very little difference between Their and our funerary perspective. People today take photos at funerals/wakes and want memorial photos- most don’t do the former, but most Victorians didn’t either. You can easily find people on the internet today enlisting the help of others to fix, colorize, or otherwise edit photos of deceased loved ones. This is no different at all from the editing and portraiture previous generations did to create memorial photos. You’re welcome. I was pleased to find this site as well. 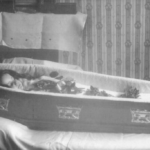 Many people are surprised to learn that many Southern U.S. families still take postmortem casket photos today. My husband’s family is from Virginia so we have several of them. 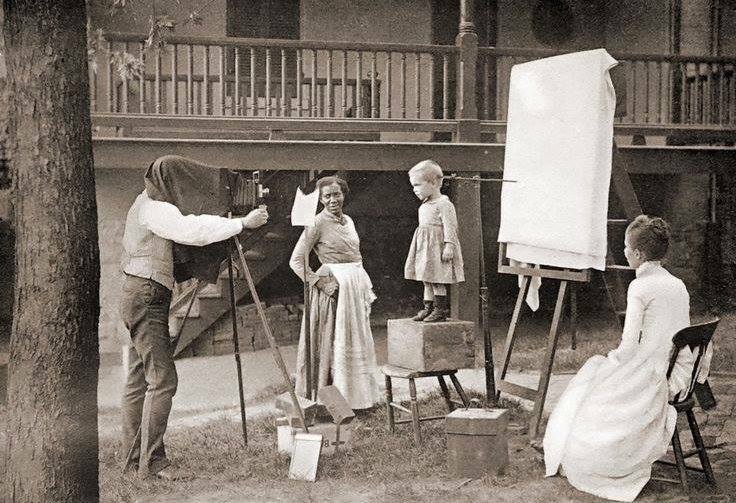 I think part of the problem is that people think that Victorian photography was so expensive that photos were out of reach of the average family, that is not true. Victorians loved to dress up and have their photos taken. In fact, traveling photographers would go from village to village just to take photographs. There is no way they could make a living only taking photos of the deceased. Anyway, I was happy that you used my website as a reference. If we keep fighting the myth, it may just go away altogether. I can really see some improvement in the past few years. There are many more people joining our cause. I have noticed the quality of articles on the subject have improved; Mental Floss posted a much better treatment this year. Good articles and rebuttals such as ours are more numerous and float higher in the google search results than before. I’m very pleased about that. This is more of an impact more quickly than I expected, or that you tend to see when battling really attractive modern myths. They’re often impervious to all efforts of address. Thank you so much for this information! I decided to revisit this topic for a recent blog post, and luckily I came across your enlightening page (and Susan’s website). 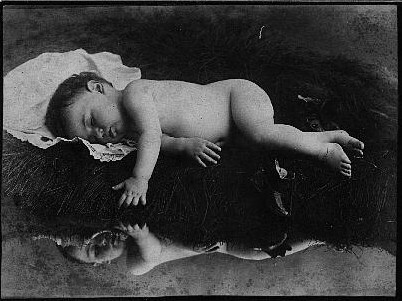 I researched a little into infant postmortem photography for my Victorian Studies MA a few years ago. In the same course, I remember being shown several of these standing images (of adults) and discussing them as factual representations of death photography IN CLASS. Unbelievable–and so interesting that this is such a recently evolving myth. I tried to continue and spread the good word (a bit comically) this week on the blog, and I referenced both of your sites–I hope you don’t mind! Thank you again! Hello Weekes. You’re quite welcome. It is unfortunate to hear that even college instructors have been fooled (and did not look for any authoritative sources). Perhaps they’ve since learned better. And thanks for writing about it on your site. Every bit helps. Quite the delightful blog you have. Nice to meet you, Ed, and thank you for stopping by the blog. Yes, here’s hoping they’ve since learned better (especially the student who presented on this topic and who is now studying for her PhD in Victorian medical practices at Oxford, haha!). Thanks again! 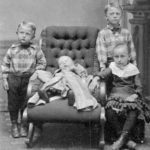 I found postmortem photography kind of creepy to be very honest. I am reading the explanation behind it for the first time as well, anyway its really an interesting read. Sir: I am teaching a course on Victorian Mourning and Cemetery Art at the Steampunk World’s Fair, and briefly cover postmortem photography. May I make your article available to my students, with attribution? I’ve spent years debunking “PM or Not?” photos (I grew up working in antique stores, and these would come in frequently, with their owners insisting the subjects were “dead, so they must be worth more, right?”), and maintain a collection of my own (all in coffins, and quite clearly deceased). Your article puts to bed 95% of the foolishness I have to correct every time I explain the concept. Absolutely, I am pleased to be of any help here. I don’t doubt you would, but please be sure to include the citations. Original authoritative sources are the key to quelling endless debate. But of course! I’m a JD, I understand the need for citations. I’m actually a little disappointed. I know that sounds really bad, my curiosity for the weird is unsated again. The pic of those 2 girls looked legit; the standing girl’s hands are discolored and look like blood is collecting in them. Oh well, at least I can sleep well now. A lot of the discoloration you see is due to the uneven lighting of the old chemical flashes. Pascal strikes again :( Damn those Victorians, with their stupid primitive cameras! You know the Victorian age was not that long ago, my great grandparents were Victorians. We have a lot of literature telling us how Victorian era photos were taken. It is not like this happened hundreds of years ago. We know the truth. 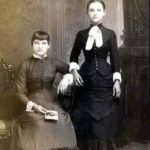 Anyone who will take the time to study the history of photography will find that there were NO stand along corpse photographs and that the stands we see in photography were photographic equipment used to keep live people still so their photos would not blur during a 30 second shutter exposure. Those stands did not, and could not, hold up a corpse. It’s ridiculous. If people will just think, they will understand that we can not even make a corpse stand and look that life like in 2017. If you see a stand in a Victorian photo, the subject was alive. 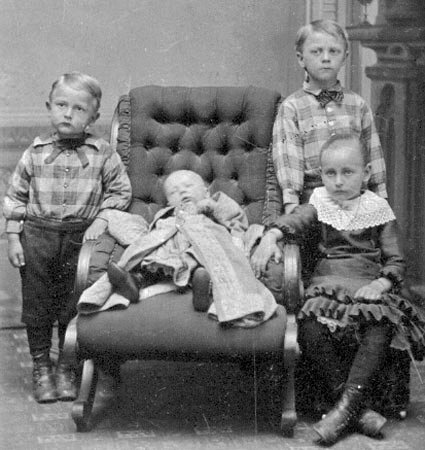 I am doing a presentation on post-mortem photography for my Victorian literature class, and was wondering, do you know of any way to verify a so-called post-mortem photo? Or know of anyone who can? Any information would be much appreciated. It can be very difficult to verify such a thing; even the experts seem to struggle with that (as in the Reitmayer case) without some sort of documentation or obvious tells. I have no contact information for such experts. I’d be glad to offer an opinion based on what I learned researching this topic, but I am no authority. In any case, I hope the presentation goes well! I would like your opinion on this photograph linked below. This does not fit the criteria of “fake PM” as it is obviously portraying the dead with caskets and flowers. These old photography are just awesome. Like them so much.